We understand When it comes to managing properties and portable assets, a suitable key tracking system is an essential element. Lost keys, late returns, lack of real time tracking, and maintenance tracking are just only part of the headaches property managers face when it comes to property key management. Together with MyTag we provide a full range of solutions for a secure, reliable and real time key tracking and asset tracking. To get a better understanding of the key management software, we can set up a FREE online demo or even a FREE one month trial. Get in touch here and we set it up for you in no time. MyTAG property Key management system dramatically improves tracking of keys, saving you time and money, and allowing you to demonstrate the professionalism of your processes and systems. Our key tracking system uses NFC tags on the keys, linked to a secure cloud-based database through state of the art key tracking system, which then allows companies to record and monitor keys (or other portable assets) that are logged in and out of business premises. This simple to use system provides you with the whereabouts of every key you manage. Beside security and real-time reporting capabilities, a key tracking system needs to be easy to use. It would only take seconds to check out a key and check them back in with the us of only a phone, a tablet or even a PC. Below is a quick view of how we keep track of keys. All keys are equipped with a high-quality HID NFC tag, When a key is used, it is tapped on the tablet to launch the checkout interface of the key tracking system and information about who took the key and when it is due back is recorded. When the key is returned, it is tapped again on the tablet to check it back into the system. Automatic reminders are issued to follow up on keys which are overdue for return. Every key and lock count, therefore our property key management system makes sure everyone is responsible for the keys they hold; when you check-out a key you can set a time for check-in and if the key is not returned at that time, both the holder and the administrator receive notifications on their phones as text message as well as email messages. This helps prevent your staff or clients from forgetting to return a key and the managers from losing keys. The MyTAG dashboard allows you to access real time information on the whereabouts of every key you manage, from wherever you are. You can instantly find whether a key has been checked out, taken away from your business premises, by whom, and why they have taken it. The system can send reminders via text or email about unreturned keys, allowing you to follow up quickly, reducing the risk of loss. This saves time hunting for missing keys, and the cost of key replacement when they cannot be found. A property manager needs to see who has their keys at any given time, if a key is late and should be returned and who holds that key. In hospital as it was in the case of Carolinas Health Care Systems they needed to track prescription drug cabinet keys as well as improve compliance in three of their hospitals. From city council to facility management companies, we can help you track your keys and assets. 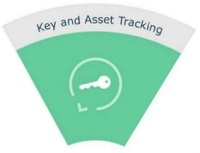 Track your facility keys and assets efficiently in real time.